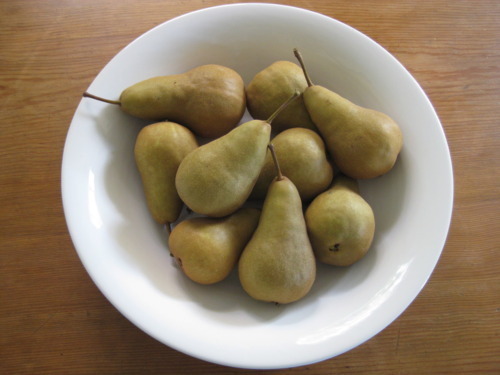 Our pear tree has produced these beauties this year. Last year, I preserved 13 bottles and they lasted almost a year. 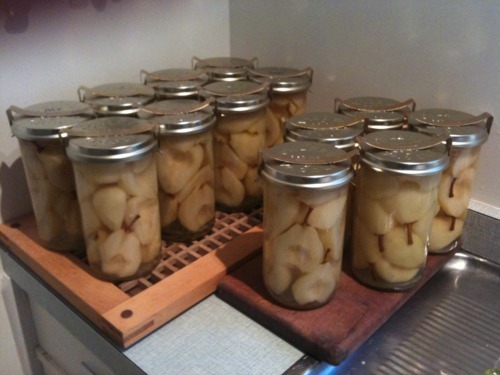 There is nothing quite like eating preserved home-grown fruit and it is definitely worth the effort. Sally Wise would be proud!